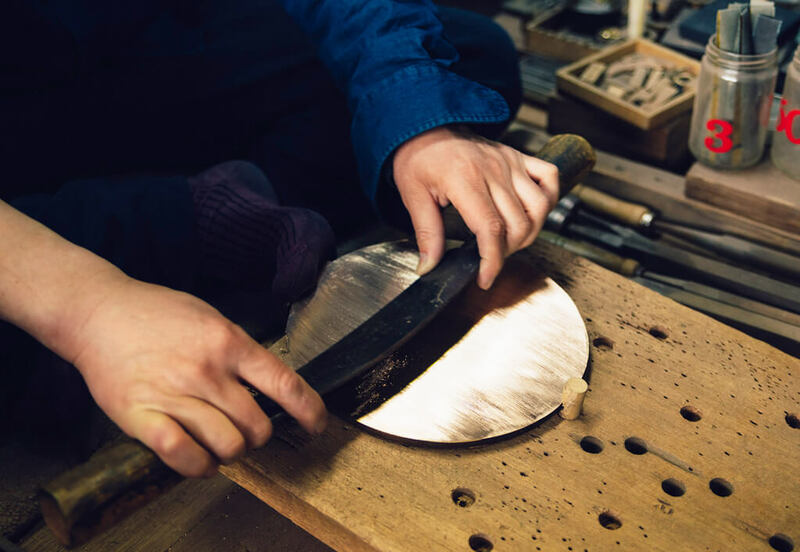 Yamamoto Alloy Works is a mirror manufacturer producing sacred mirrors for Shinto shrines all over Japan, including Ise Shrine. It is the only maker of makyo, or “magic mirrors” that project ephemeral images when light is reflected on them. Observe up close how mirrors are polished with a special tool called “sen” and other traditional techniques passed down for generations.